When you think of concession food, your first thought may be hot dogs, popcorn, or even a slice of pizza, but over the past decade the options at sporting events have been evolving to attract even the most discerning tastes. TD Place’s food and beverage partner, Levy Restaurants is redefining what concession food can (and should) be with a variety of selections and this fall they introduced the Very Vegan Tacos featuring Beyond Meat. All the rave thanks to A&W, Canada’s original burger chain, the plant-based protein is a revolutionary vegetarian option that has everyone from vegans to carnivores talking. 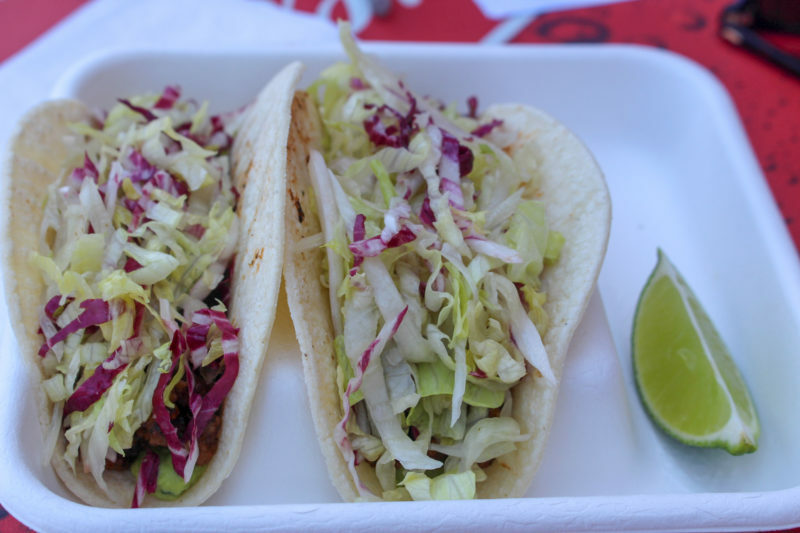 The tacos are also served in a fully compostable container made out of sugar cane. Ottawa’s favourite food blogger: @ConsumedbyCarlo put them to the test. We invited Carlo Santurbano to TD Place to be the FIRST to try them! Born and raised in Ottawa, Carlo has a burning passion to find all the great eats his city has to offer. Supporting local and proving Ottawa is not only the Capital of the country, but also a food capital, is what he stands by. You can follow his food journey (@consumedbycarlo on Instagram) as he eats his way through our delicious city. We blew his mind and most importantly, his tastebuds when he tried our tacos… now it’s your turn! These tasty tacos will be available at REDBLACKS and Ottawa Fury FC games starting on Saturday, September 22. Get yours at Little Italy (south/north), Glebe Grill (south main/south upper), Pure Foods (south main), and Cattle Castle (north upper).